My To-Be-Read list is always growing. As is the stack of books in my To-Be-Read pile. Other reading teachers, book lovers, and lifelong readers probably also sum up their reading life in this way: so many books, so little time. I find as much time as possible to read, but the lists and stacks don't seem to shrink much. I often forget about the books I was eagerly anticipating reading a month ago or put aside the book I just acquired and instead pick up whatever seems worth reading in that moment. For 2017, I have decided to make a list of "must reads" so I have a reading plan. I hope this will ensure that the books I've been looking forward to reading don't get skipped over on the list or buried in the stack. I also join Carrie Gelson of There's a Book For That and a community of other bloggers who are also making #MustReadin2017 lists. 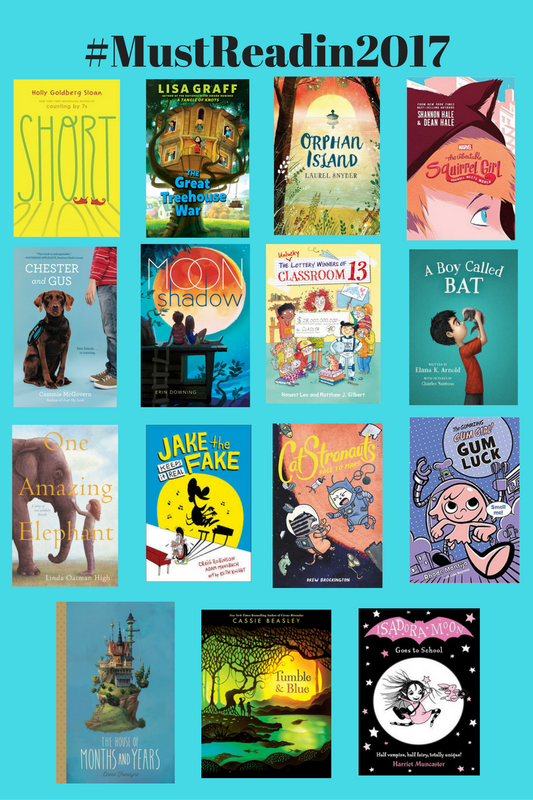 My must read list includes a number of middle grade titles that will be published in 2017. I have already heard some book buzz about many of them. There are also a few professional books, recently published or up-and-coming, on my must read list. I believe talk is essential to student learning, but teaching students to have authentic and meaningful conversations that support their comprehension of text is often a challenge. 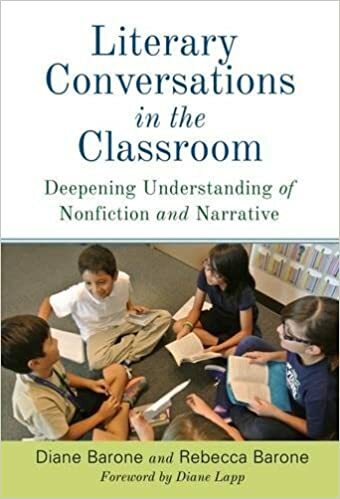 I hope to get some ideas to support students' talk about text from reading Literacy Conversations in the Classroom: Deepening Understanding of Nonfiction and Narrative by Diane Barone and Rebecca Barone. 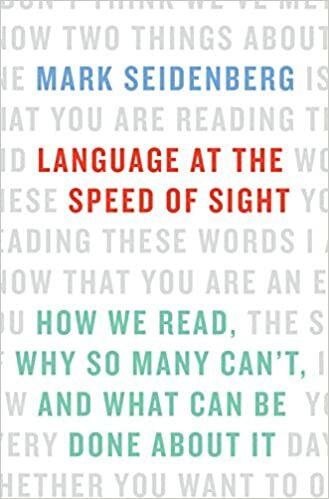 I recently read a review of Language at the Speed of Sight: How We Read, Why So Many Can't, and What Can Be Done About It by Mark Seidenberg in the New York Times. Two adjectives used to describe the book were "important' and "alarming." I am interested in learning about the perspective that Seidenberg, who is a cognitive scientist, takes on learning to read. 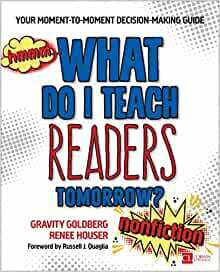 I loved Gravity Goldberg's book, Mindsets and Moves: Strategies That Help Readers Take Charge so I am looking forward to What Do I Teach Readers Tomorrow which she co-authored with Renee Houser. There will be both a nonfiction and fiction version. Vicki Vinton is another author whose previous work I found to be very insightful. I have seen Vicki Vinton present recently at NCTE and last spring at the New England Reading Association and always learn from her. 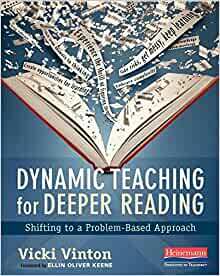 I have no doubt that my instructional practice will be enriched from reading her book Dynamic Teaching for Deeper Reading: Shifting to a Problem-Based Approach. What are you planning on reading in 2017? What a wonderful group of books to look forward to, Lisa. I've started a 2nd list of those I want to remember from others' lists, and added some from yours. Happy Reading! Some interesting books to read for sure. Happy reading! Thanks, I hope I get to them all! You've picked so many great books! I had forgotten the Squirrel Girl book was coming out soon, I'm so excited for that one! It seems like a good one for comic book lovers or those who enjoy superhero vs. villain stories. I did not know there was a new Gum Girl! The kids really like that one! I hadn't even had heard of this series until I received a copy of the second one at NCTE. Glad to hear it's kid-approved! That is so true about the bank accounts! Many of your titles are new to me. I'm adding quite a few of your books to my Goodreads "want to read." I may need to get a second job to pay for all the books I want to get. :) Happy Reading! All this reading does cost a lot of money! Maybe a second job at a bookstore would work! I didn't know Holly Goldberg Sloan had a new book coming out! I like the focus of your professional reads. I'll have to see if any of them can help me in my work as well. The only other book of hers that I've read is Appleblossum the Possum and I enjoyed it so looking forward to Short. Lisa, my Goodreads list of books to read also grows out of control. It doesn't matter how many books I read, the to read list just gets longer! This year sometime, I'm going to weed it. I see that we have some similar books on our list this year, so it will be interesting to read your comments on them. I've just finished The Unbeatable Squirrel Girl: Squirrel Meets World by Shannon Hale and Dean Hale. I wish I had read some Ryan North's Squirrel Girl comics first. That background knowledge would have helped me appreciate it. I have not read the comics either. I will have to check them out. I am so pleased that you have joined our community Lisa! I am seeing Short on many lists including mine! I am looking forward to reading and sharing with the rest of the community!